The Shanghai Rolex Masters 2013 quarter-finals take place tomorrow afternoon, starting with an unexpected showdown between French No. 1 Jo-Wilfried Tsonga (Player Bio) and Florian Mayer (Player Bio). Tsonga is attempting to secure a spot at the ATP World Tour Finals, while Florian is looking to carry forth his incredible momentum following his upset win over third seed David Ferrer. Check out the Tsonga v Mayer Head to Head. Tsonga snapped a two match losing streak against Kei Nishikori with a 7-6(5), 6-0 victory in 90 minutes. 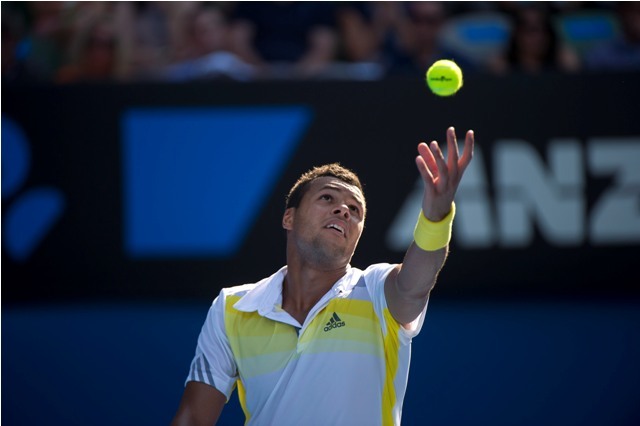 It was a dominant win that signaled a rejuvenated Tsonga determined to reach the later stages of the tournament. Now 9th in the world rankings and 11th in the Emirates ATP Race to London, he will be vying for one of the five remaining qualifying spots in the Barclays ATP World Tour Finals and the win over Nishikori added 90 Emirate points to his quest. The Frenchman is now 20-7 on hard courts and 12-5 in Masters 1000 tournaments. He has never been past the quarter-finals in Shanghai, having lost to both Tomas Berdych and Andy Murray on two different occasions. World No. 50 Florian Mayer picked up his biggest victory this season: a 6-4, 6-3 win over third seeded David Ferrer. The 30-year-old played phenomenal tennis, picking up his first top 10 victory of the season and is yet to drop a set here in Shanghai. 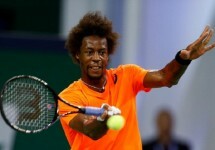 Prior to that he had defeated rising French star Benoit Paire in comfortable fashion. He has compiled a 16-12 record on hard courts and a 9-6 record in Masters 1000 tournaments. A win over Tsonga would make this Mayer’s most successful tournament to date, as he is yet to win a title on the ATP tour. 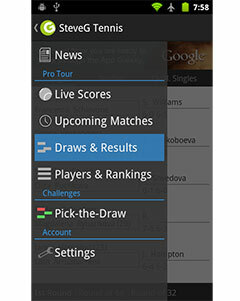 Tsonga is 3-0 against Mayer on the professional tour, with a recent win in the semi-finals at Metz. They have also met in the third round in Shanghai back in 2010, when Tsonga bested the German 7-5 6-3. In all three encounters, Mayer has only taken a set off Tsonga once and considering that was in their most recent encounter (Metz), we could be in for another entertaining three set match. The stakes are high for the Frenchman as he attempts to secure one of the remaining spots in the Tour Finals and a win over Mayer would certainly benefit his cause greatly.